This article first appeared in the UK Publishers Association’s quarterly, APD Briefings. It is reprinted here with permission. Publication of dissertations is not new; in fact, a dissertation or thesis* has to be published (in the sense of being made available to potential readers) before it earns its title. And while institutional repositories can capture the work of the university’s own researchers, they achieve only limited success in dissemination to other institutions. In pre-digital times, dissertations were submitted in print format, and were normally read by only a few people who knew how to find and access them. But digital dissertations are not new, either; digitization facilities have been available since 1998. ProQuest was the first company to offer them, having provided a print-to-microfilm service since 1938. Its digitization program, set up in 1997, was given a major boost in 1998 when the Library of Congress recognized ProQuest as the offsite repository of the USA’s Digital Dissertations Library. It now works with more than 700 US universities, and this year alone will have digitized more than 100,000 dissertations. ProQuest also digitizes dissertations from countries across the world, including the UK. Since 1988, the ProQuest database has included citations for theses/dissertations from many British universities (via the British Document Supply Centre at Boston Spa). Other commercial providers have now entered the market as well. In the UK, the British Library’s EThOS service (partly funded by JISC) was launched in 2009. It digitizes theses from 130 British universities, and contains about three times as many records of dissertations as full-text documents, though the remainder can be scanned and supplied via on-demand services for a fee. Digitization programs have only attracted significant interest in academia over the past three to five years, a phenomenon that has been driven by two main catalysts: the rise of the Institutional Repository (IR), and the simultaneous momentum of the Open Access movement, both of which have spurred universities to issue publication mandates to their academics and researchers. As with many new services now being required by universities, the library provides the pivotal link. Librarians may take responsibility for both educating graduate researchers about copyright, and explaining the program options available. Sometimes the library will work with another department in the institution – the research office, if it has one, or individual faculty members – to raise awareness of a program, or locate funding. Researchers can be baffled and/or suspicious about what might happen to their work with these required services. Many might ask, when libraries have to cope with cuts both in revenues and staff, why increasing manpower and money is being devoted to this area. • They serve to raise an institution’s prestige levels and attract further research funding. • Dissertations offer the most up-to-date work on a subject, but they may not always be published, so digitization makes them more obtainable. These works document a step-by-step account of the methodology used, and offer a comprehensive literature search, which is useful to others in the field, and the (unedited) raw data collected and shown is invaluable. Dissertations add to the corpus of work that can be discovered via text and data mining (or, TDM). • They provide an archive of university-wide research. • Publishing parts of dissertations as journal articles, or as chapters in multi-author books, act as a “shop window” for the author as well as the university. They can help to attract a ‘bright new star’ in a discipline and potentially assist the university in recruiting other researchers in the field. 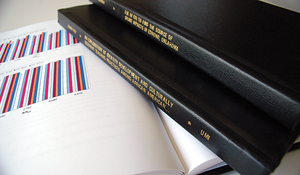 • Dissertations can be used as a teaching aid for others, by sharing methodologies. • Older dissertations provide additional context for a theory that has been developed over time, and show the trend(s) that the research has taken. • How to understand and administer copyright, and how to tackle potential future plagiarism. How do we strike a balance between making a public contribution to the scholarly record and discourse, while ensuring that authors retain control over their work? • Disseminating information as widely and effectively as possible, without derailing the author’s future. If an author needs to turn the dissertation into a monograph to achieve tenure, or offer some of their dissertation to become a series of journal articles, this can be a concern for a publisher. • Some completed works are being submitted in multimedia format(s) or in an entirely different medium, such as a musical score. At the moment, not all universities will accept non-traditional formats, but in the future they are likely to come under increasing pressure to be more flexible. 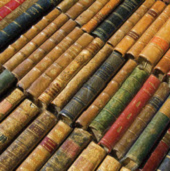 With one eye on the future, librarians often find themselves engaging in a wider debate about the nature of theses/dissertations and the part they play in the information chain. As requirements become more complex, and librarians have to expend more time and effort in providing solutions, working with a partner that can deliver an effective “one-stop-shop” and address all of the dissertation digitization issues — from ingestion to dissemination, as well as the production and maintenance of citation records and other analytics — will become increasingly more important. More information about ProQuest’s digitization services may be found here. Linda Bennett set up her company, Gold Leaf Publishing Consultancy, in 2001, to provide business development support and market research to the publishing, bookselling and library communities. Her work has concentrated particularly on aspects of e-publishing and e-learning. Ms. Bennett was formerly a director of two library supply companies and Waterstones. She undertakes research projects for publishers on a confidential basis, and for government and industry organizations for publication. She also facilitates a number of international librarian groups, most of which focus on aspects of electronic publishing.